The New Conservatives – "And another thing…"
This is a reformatted version of a prior blog, originally posted in three separate entries. In this version, all three are in the same entry. If you prefer to read it in the original format, click here. There have been many occasions over the years when my traditional church views have made me feel very alone, even isolated in the church. The fact that I have felt this way at times also became it’s own source of resentment, frustration, and even irony. The irony derived from the fact that, in my mind, I felt that what separated me from most members of the church was the fact that I had the nerve, or the audacity, to actually believe in, well, our beliefs. In my opinion, members of churches are supposed to believe in their church’s beliefs. It sort of goes together, and it’s circular: believe…beliefs – beliefs…believe; and it has always struck me as strange that many church members, at least, in my own experience, do not believe in some of our beliefs. However, I have come to understand that I am far from alone, and that numerous church members share several, if not all, of my major church convictions. I have also come to understand that many non-traditionalists don’t know what makes a church traditionalist what he or she is; and in fact, that may be true of some traditionalists as well. It has been my observation that non-traditionalists sometimes misunderstand what motivates a church conservative, or, to put it another way, many people don’t understand why traditionalists have the viewpoints that they do, or what those viewpoints are based upon, and why it’s sometimes not possible to accept certain things. Therefore, I want to share a little list I’ve made of what I feel are some common convictions that conservative church members have. When we resist some of the changes that have occurred in the church, it is often because of these convictions, and these convictions alone, and not for the many other speculative reasons that some people might presume. But before I go any further into this area, let me make a comment on the use of labels. When I converse with church members, I often use terms like “liberal”, “conservative”, “traditionalist”, “moderate”, etc (within a church context – not political). On occasion, some people have responded directly to my use of such terms. They have cautioned me, quite appropriately, that such terminology, such labelling, such classification can sometimes be negative. I truly appreciate and respect that point-of-view. And there are many cases when I agree that labelling can be negative. So I want to explain why I use these terms, within a church context. The second reason is, using such terminology helps me better understand who I am, again, in a church context. It helps me better identify with my own spiritual growth. It gives me a base, or foundation. And it even pushes me to new understandings, as we shall soon see. It also, I feel, helps people have a shared identity. It provides a sense of comfort, and connection, and that in turn, especially when conversing with people with opposite points-of-view, makes our interactions less intimidating. In short, it helps eliminate that sense of loneliness and isolation that I spoke of earlier. It provides a sense commonality, even community. And of course, no one has to feel that they must align with any church demographic. Returning to the question of “what is a conservative?” (within the context of Community of Christ), I of course have to acknowledge that I can only present things as I see them, but I do feel it is worth exploring just what it means to be a conservative or traditional church member, and I am confidant that what I outline below does cover a lot of the conservative membership of the church. 1) God: This may seem obvious, but it is still worth highlighting. I should also point out that most conservatives understand God in the traditional Christian sense (save perhaps where tweaked by Restoration scripture) – that of some sort of supreme, divine personage with purpose, intelligence, personality, memory, identity, etc. This is very important, because a person’s view of God will shape his or her theology *and* how they approach scripture. 2) Jesus Christ: Traditionalists tend to believe that Jesus was a historical figure, and that he was truly God incarnated, rose from the dead, etc. 3) Apostasy: The ancient church & priesthood became corrupt and had to be restored by God. 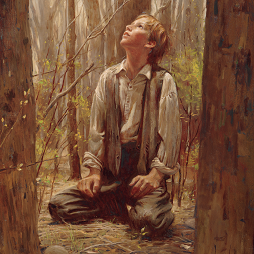 4) Joseph Smith Junior: A true prophet of God called to restore the priesthood and the church; whose sections in the Doctrine and Covenants (along with those of his true successors) presented as divine revelations, truly are. 5) Joseph Smith III: The true legitimate successor to Joseph Smith Jr.
7) Book of Mormon: Is both inspired scripture, and a historical account of a lost civilization. 8) Inspired Version: Is the result of divine revelation, for the purpose of correcting some errors and restoring some lost content. 9) The Bible, the Book of Mormon, and the Doctrine and Covenants are the only true examples of scripture. 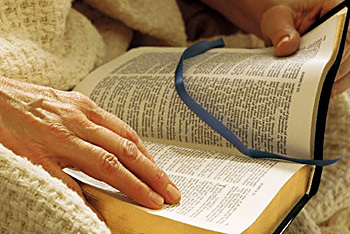 Scripture is the result of God revealing His will, through inspiration, visions, vocalization, or dictation. While we know that no member of the godhead physically wrote scripture, scripture is the result of God moving someone to write down what they wrote down. Scripture is therefore understood as being spiritually inerrant. 1. What are your thoughts regarding the above list? 2. What are you comfortable with, and what do you struggle with? 3. Had you considered these items before, and do you feel that this list is at least a somewhat accurate summary of what conservative church members believe? Understanding that many traditionalists will hold to some of the cardinal convictions presented in part one, will help people understand why conservatives like myself have the opinions that we do. a) God’s revelation to Moses, though divine, was nonetheless received through the filter of Moses’ own humanity, therefore, it is possible that what Moses wrote as representing the mind and will of God is not wholly accurate. b) Moses did not write some portions of his books. c) One or more of the books of Moses were not written by Moses at all. d) None of the books of Moses were written by Moses. e) Moses did not exist. f) The Old Testament is meant to be understood only metaphorically. If any of the above are used, the person so doing will then immediately negate any hope of convincing the person he is debating with that his view is valid, because, point a) clashes with (at least) cardinal conviction #9 (scripture is spiritually inerrant), points b) through e) clash with cardinal conviction #8 (the Inspired Version is the result of divine revelation); and point f) clashes with both #8 & #9. Look at it this way. A conservative church member who accepts the validity of the Inspired Version therefore believes that the Inspired Version is correct, and that it is the result of divine revelation. It was God’s effort to correct mistakes, restore lost truths, and remove falsehoods. If you accept the Inspired Version, you reject many of the notions that some people have today regarding the Bible. Belief in the validity of the Inspired Version, and in the validity of some of the newer theories about Moses and his authorship (or very existence) of the Torah, are, quite simply, not compatible. Personally, I celebrate (where appropriate) the various cardinal convictions. I greatly cherish the elements that we have in common with all Christians, as well as those elements that are unique to Community of Christ and / or the Latter Day Restoration Movement. I’ll even say that I find them empowering and exciting – when understood, and used, appropriately. 1) We often don’t return to the scriptures. What I mean by that is that if we have a particular doctrinal opinion based on a passage that we reviewed a long time ago, we often perpetually presume that our prior interpretation was correct. We seldom feel the need to go back to what we read before, and make sure that we read it correctly, and / or that we interpreted it correctly. 2) We tend give false authority to things we read or were told, especially when we don’t like them, regardless of how old they are, without taking into consideration more current references. Why would we do this? Why would we “authoritize” something we don’t like? Quite simply, to have more ammunition to find fault with the church or at least it’s leadership. I’ve often heard, as recent as 2013, people cite the “Positions Papers” (which is probably about 30 years old), or quote something said by an apostle 25 years ago to “prove” that the church today is off track. This is not a truly honest approach. You see, we must keep current with the latest statements, etc., to truly understand what the church is advocating *today*. We can’t just ignore the current positions and say “well, I read 30 years ago..” or say “well an apostle once said to me, 25 years ago…” and give more authority to such things than the actual current policies and positions of the church. But we tend to often do just that. We tend to authoritize things that were never official, and never truly authoritative in the first place, and we often don’t want to let go of them, because for us, they may have been personal. But, we need to move on, and ensure that we are clear on what the living church is endorsing today. 3) We tend to regard church folklore and church tradition and church custom and local church culture as church doctrine. When these things are sometimes changed, we sometimes respond just as passionately as when a change in a church position is considered. Yet, we need to understand that church folklore, tradition, etc, are *not* doctrinal. They are not reflective of our theology (even when derived from it). 4) We tend to be stubborn, to the point of preferring stagnation (and therefore church death) over rejuvenation. 5) We really don’t like admitting that we are wrong. Even (& especially) when it’s proven that we are. 6) We sometimes put how we want things to be ahead of how God would have things be. 7) Sometimes, we are so comfortable with the status quo that our motivation for what we teach and preach becomes muddled. Are we really proclaiming God’s truth, or simply finding reasons to defend what we would prefer God’s truth to be? 8) We often don’t like change. We envision the ideal church as being the church as it existed in our own childhoods, overlooking the fact that the church has never been, nor can it ever be (if it is to be effective), static. 9) We have a tendency to view the church as a rural, North American institution. We therefore feel threatened by doing what Christ told us to do (taking the gospel into all nations, converting all people), because we fear the influence of other races, nations, cultures and experiences. 10) We become preoccupied by petty issues and fail to focus on what matters most. 11) We often fail to embrace the church’s supporting documents, such as the Enduring Principles or Mission Initiatives, because we are too preoccupied with the “correctness” of our church, its “Restorationisness”. 12) Some of us fail to express unconditional love by deliberately withholding our tithes from World Church as a form of punishment. This is unacceptable. 13) We often interpret someone disagreeing with us as a personal attack. 14) If we cannot win a debate, we often simply drop out of the dialog. The time has come for a new breed of conservative church member to arise within our global membership…those who still cherish the cardinal convictions outlined in Part One, but are willing to let go of the constraining customs outlined above; they are those who are wiling to see our Restoration heritage as a means of furthering our transformation into a 21st century church. 3. Are any of them true for you? PART 3 – ARE YOU A FOUNDATIONALIST? Being a traditionalist is not really about promoting tradition for that sake alone. Being conservative should not ever be about impeding progress and fostering stagnation! We need a new understanding of what it means to be conservative. What I call traditionalist or conservative perspectives regarding the church might be better expressed as “Restoration foundationalism”. To put it simply, as demonstrated by the list of cardinal convictions in Part One, I believe in many of the things that this church was built on: God, Jesus Christ, the Holy Spirit, the revelations of Joseph Smith, the divine organization of the church, the Book of Mormon, the Inspired Version of the Bible, etc. These are deeply important to me. They are part of my personal theological identity. So, I’m a “foundationalist”. But being a foundationalist is not incompatible with belonging to an innovative church. I don’t need to be arrogant in my beliefs, and I don’t need to presume that my interpretations are 100% accurate. This is one of my favorite verses of scripture. Think about it. Nephi didn’t just read the scriptures. He pondered them. He wrestled with them, sought to understand them, and formed interpretations of them. This must become a principle that all church members should adopt: We must not just read the scriptures, we must ponder them. As I have been challenged by the church to explore my beliefs, I have found that our foundational beliefs and doctrines still sign to me. They still excite me, and they still, in my opinion, reflect God’s truth. In short, I still believe in our beliefs. But the exploration has taught me that I don’t need to resist everything. For example, if the church wants to broaden and deepen it’s understanding of Zion, I’m totally ok with that. In fact, I embrace that. I don’t need to cling to the notion that everyone should uproot themselves and move to the city of Independence. But I still believe that Independence is (or will become) Zion. I don’t feel that my belief on that point is in any way threatened by broadening and deepening our understanding of Zion to see the benefit to the world of building Zionic communities outside of Zion. The point is, I don’t need to resist that new way of thinking about Zion, because it does not negate or diminish my own beliefs. It does not negate Joseph Smith, or the Book of Mormon, or any of the other foundational beliefs that I hold to be sacred truths. And, the new understanding of Zion can also become one of my personal beliefs…and not merely a corporate belief that I feel obligated to claim as my own, or begrudgingly accept as true, but I can, without negating my other understanding of Zion, truly accept, embrace, and celebrate the broader notions of Zion. That is the beauty of being a foundationalist. I don’t need to feel that I have to resist things. I can continue to cherish all those foundational concepts, and be fully excited and passionate about our Enduring Principles, our call to respond generously, our Mission Initiatives, and the challenge to magnify our callings. So that is who I am now. I’ll still call myself a conservative, or a traditionalist. But in my heart, what I really mean is, I’m a foundationalist. And if you think as I do, then you are too. As such, we are the new conservatives. And that gives us the freedom to envision a church that is both a church of the Restoration, *and* a 21st century church at the same time! And if we can truly become that, then maybe one day, all of us, conservatives, liberals, foundationalists, moderates, etc., can shed our labels, no longer needing the security that they offer, and just be the church that Christ is calling us to be. In the mean time, it is my hope and prayer that liberals will strive to better understand where conservatives are coming from, and it also my prayer that conservatives will, in addition to being patient with liberals, more deeply explore their own convictions, why they have them, what they truly mean, and what they enable us to become. If you lean more towards the liberal or moderate spectrums of the church, are you willing to strive to better understand why traditionally minded people have the positions that they do? If you are a conservative church member, are you willing to evolve into a foundationalist? Are you willing to find your voice, to courageously proclaim both what you believe *and* your support of the full mission of the church? Are you wiling to let go of the constraining customs, and embrace the call to be generous and committed disciples, who see the heritage of the Restoration not as an end unto itself, but the means by which our sacred community can truly become a 21st century church? Are you willing to help guide the church towards becoming something that truly resonates with people, and which is relevant and redemptive? Will you join me on this journey? Consider yourself challenged to do so. Who will accept this challenge? 1. What are some of your own “cardinal convictions”? 2. Are you able to keep them in the wake of a changing church? If not, why not? 3. Do you feel empowered to have traditional beliefs, should you wish to? ← Female Ordination – Did We Make the Right Choice?